When the temperatures spike there is nothing I love more than throwing on an easy dress. Maxi dresses are my favorite way to look polished and still stay comfy on those warm summer days. I stole this one from my mother's closet and find that it works perfectly to cover up my bikini on pool days, looks pulled together to run to the farmer's market, and transitions seamlessly into nighttime. 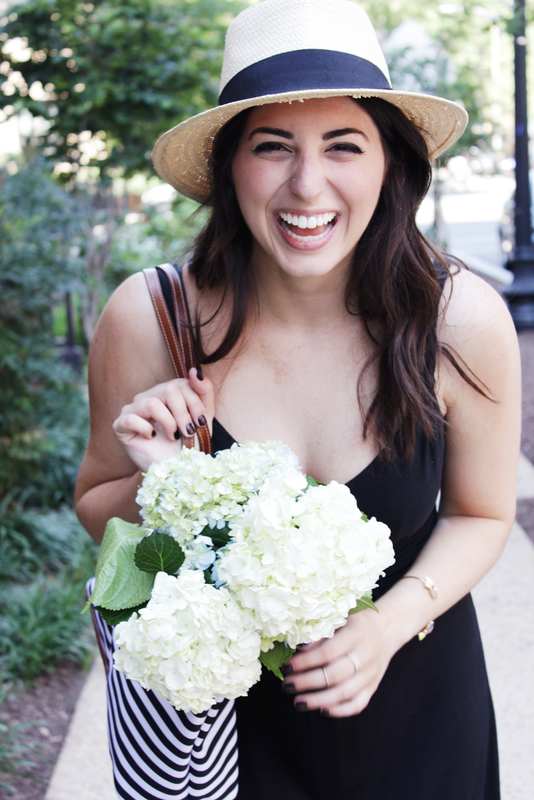 I paired the dress with my favorite panama hat and my Barrington, St. Anne Tote. 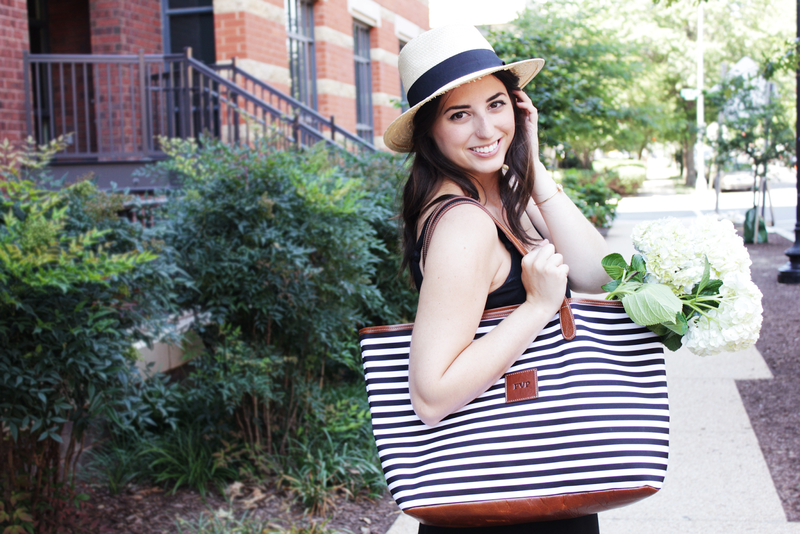 This Barrington tote is the ideal summer bag. Big enough for a farmer's market haul and perfect for a day at the beach or the pool! Where do I even begin? Such a fun post! That bag is to die for! Thank you Anna! Oh my gosh aren't the Barrington bags just the best?! They hold everything! You look so cute Faith! Jelly of you & Bri's weekend!